Leafy park views from designer apartment! Set within a sought-after complex, this stylishly renovated apartment is superbly appointed and delivers the convenience you want and need with village shops, waterways, schools, Westfield Miranda plus city transport all at your fingertips. A stylish free-flowing design, which sees the kitchen overlook the open living and dining zone, creates a superbly spacious feeling in this home, while the undercover balcony connected to the living through large sliding doors, ensures sunlight and lovely breezes permeate throughout. The contemporary kitchen features caesarstone counters, premium appliances and ample storage space while being perfectly positioned to interact with guests when cooking and hosting. Connected to the kitchen is a dedicated laundry room – a much-welcomed bonus when it comes to apartment living. 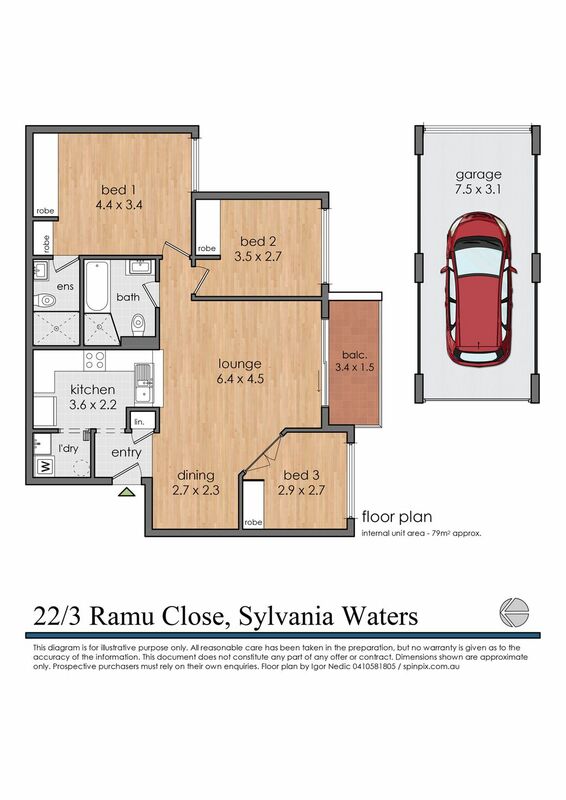 The clever floorplan ensures bedrooms are nicely tucked away from the living, with both providing floor-to-ceiling robes and that all-important privacy. The master bedroom also includes its very own ensuite. Conveniently sitting between the bedrooms is a sleek tiled bathroom with a deep bathtub. Enjoying green park outlooks from all rooms, a flexible study or 3rd bedroom, secure single garage plus fabulous resort-style facilities; this stunning apartment fulfills the brief for those looking for convenience and relaxed low-maintenance living.